Wet walnuts are a delicious additive to sweet treats. 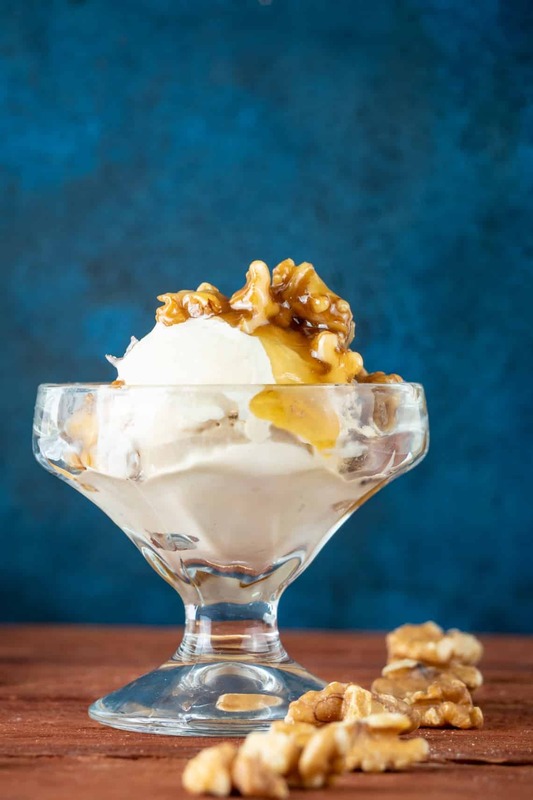 These keto wet walnuts are especially perfect for your next ice cream! 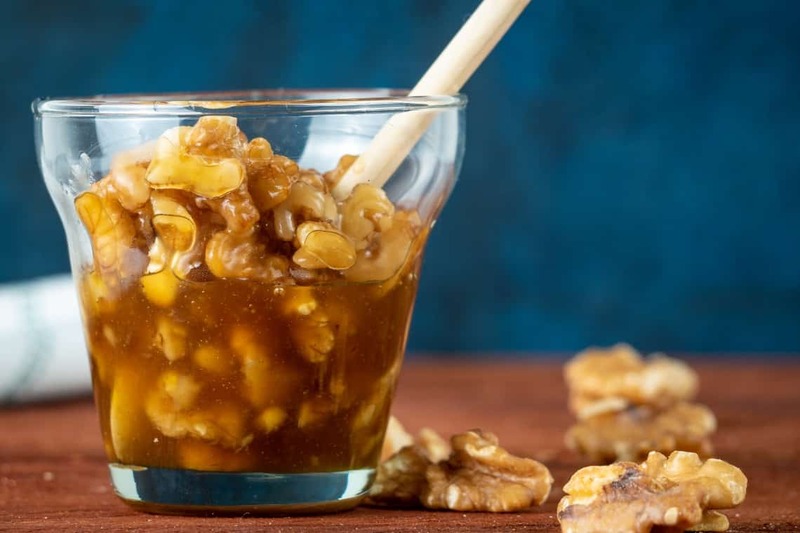 Wet walnuts are a dessert topping traditionally made from walnuts and maple syrup. 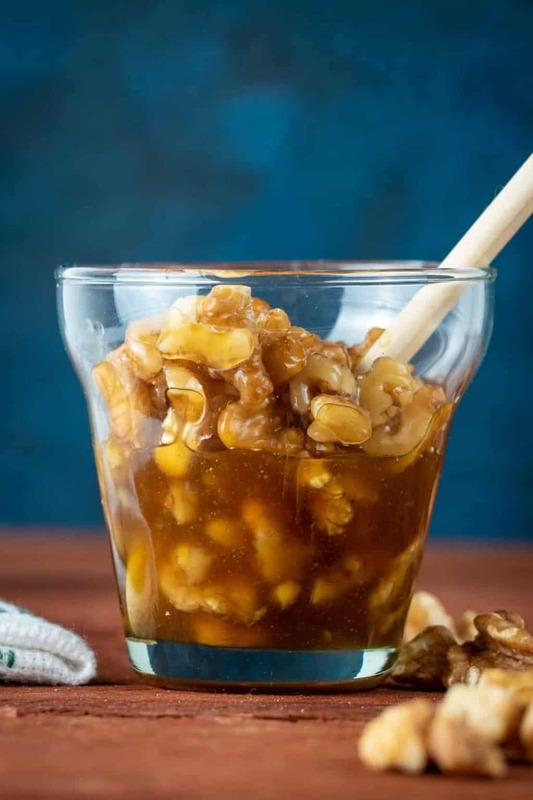 It is often referred to as a “walnut topping.” Generally, the mixture consists of other high-sugar additives such as corn syrup, simple syrup, or sugar. 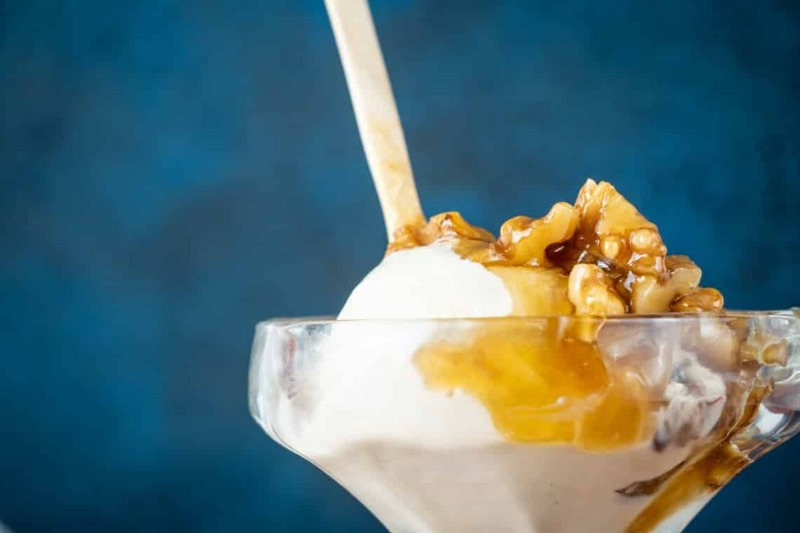 Most commonly wet walnuts can be found as a dessert topping, mostly on ice creams or ice cream sundaes. Walnuts fixed in this fashion are found most often in the United States at ice cream shops throughout the country. Other nuts may be found substituted for walnuts on occasion. Making keto wet walnuts is a very simple process. In fact, there is very little to the process outside of adding all ingredients to a small pot or saucepan, bringing to a light boil, and stirring. This awesome walnut topping truly is one of the easiest things you can possibly make! And, it will add a wonderful layer of deliciousness to whatever you add it to. That’s it! Super short, simple, and easy, just like we like it! Storing wet walnuts is as easy as making them. If you plan on using the mixture right away, obviously no storage will be needed. However, if you plan on making these ahead of time and using later, storage is essential. The easiest way to store these is to place them into a glass storage container and refrigerate. They will easily last a few days in the refrigerator without a problem, but you probably shouldn’t keep them much longer five days. As we have discussed before, monk fruit is a great sweetener, but the longer it sits after being cooked or heated the more you run the risk of odd tastes creeping into the final product. WHAT SHOULD I TOP WITH WET WALNUTS? 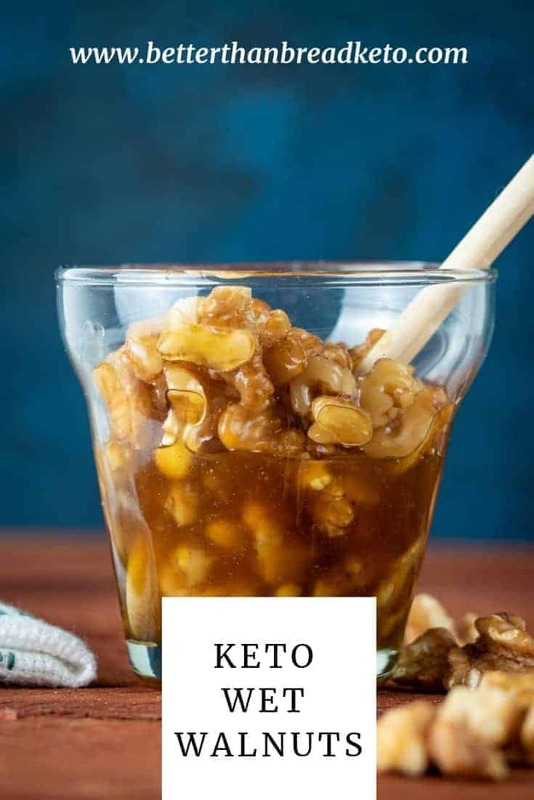 Really, you can add keto wet walnuts to any number of delicious sweet treats and desserts. They also make a perfect snack all by themselves. 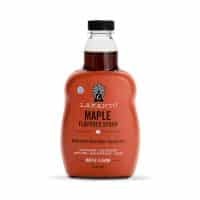 They are most commonly used as a wonderful topping for any number of ice cream flavors. But, if you need some help finding a sweet treat to add them to, here are some recommendations to help you out. CAN’T I JUST BUY THEM IN THE STORE? Well, you probably can, though I’ve never seen them. However, and this is a big however, I can guarantee you they will not be low in sugar or acceptable for a low-carb or keto diet! Reheating wet walnuts, just like the recipe itself, is very easy. Here are a few options for reheating the walnuts after they have been stored. When reheating walnuts in the microwave, warming them for small segments of time is best. Start with 5-second intervals, stirring each time. After they reach the desired temperature, remove and serve. If you decided to use this method, be careful not to overheat the mixture by leaving in the microwave too long. The best method is using the stove to reheat keto wet walnuts. Heat the mixture over medium heat, stirring regularly. When you are able to see the first bit of steam coming from the walnuts, remove from heat and serve. The goal should be to heat them through and not return them to a boil like when they are made. The last useable method is to reheat the walnuts in the oven. Preheat your oven to 350˚F and place the mixture in. Of course, you should make sure to place the walnuts into an oven-safe dish. Heat for 8 minutes, stirring occasionally. Check to see that the desired temperature has been reached. Heat the mixture in two-minute intervals until warm, if more time is needed. CAN I USE FRESH WALNUTS? Of course, you can. If you have access to fresh walnuts and would like to shell them yourself, feel free. They will taste just as good, if not better than what you can find in a store. If you are cracking the walnuts open yourself, be careful not to get pieces or shards of the shell in your walnuts. It would also be a good idea to give your walnuts a quick rinse after you are done to wash away any dirt or debris that might be on them since they are fresh and not pre-packaged.